Many users have complained that the SHAREit is sending some annoying notifications. Some users posted it on Twitter showing a notification with Test_Stat1-HPC. Although this notification seems to be a contextual error in the script. But it becomes annoying when users can’t get rid of it. One of the users Dhananjay Bhosale has shared the issue with the screenshot of his notification menu. Moreover, he tried to suggest us the older Mi-Drop instead of SHAREit. There is still no clue of having this annoying notification shown on the top left for most of the users using this app. 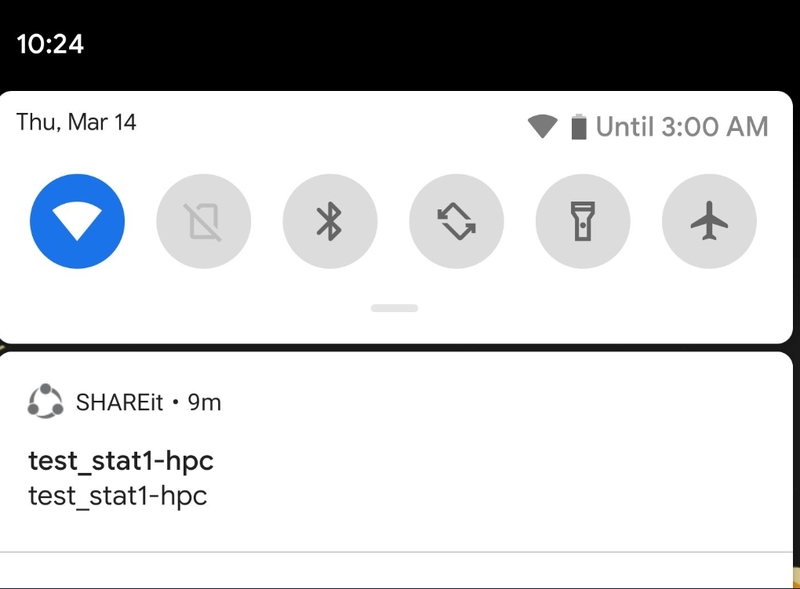 Here is how to get rid of SHAREit annoying Notification that reads “Test_Stat1-HPC”. The easiest and most approved suggested method is to hide the notification. 1- When you are seeing the Test_Stat1-HPC on the notification bar. 2- Simply drop down the notification menu. 3- Hold and press on the notification Until the options menu open up. 4- Now toggle the Disable Notification button. 5- That’s it. Now you will not see any such notification on your device. But the drawback of this method is you won’t be able to see any of the notifications from this app. That means SHAREit will be almost hidden from the main screen. If you want to replace this app. Go for the MiDROP app from the play store. Linked below.